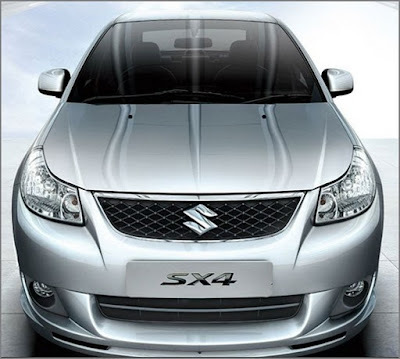 The country's biggest auto manufacturer, Maruti Suzuki India Limited is all set to launch a Limited Edition model of Maruti SX4 in the month of July 2010. The all new Limited Edition would be introduced with some classy features and specification which makes it stunning looks and wonderful performance car in the Indian auto market. Maruti had launched the model in 2007 to replace its existing model Baleno and increase the market share of the company in the sedan segment and has been doing quite well. The new Limited Edition of SX4 will have new improved features such as all new chrome decals, parking sensors, bootlid spoilers and OVRM's. Along with these, some changes in the interiors of the car are also expected, like new leather covers and a reading light for passengers. 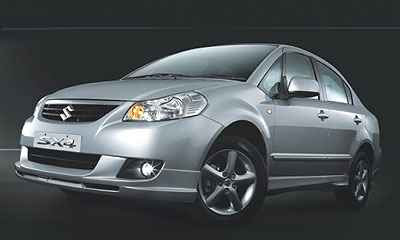 With certain cosmetic changes the new Limited Edition of SX4 would now cost at least Rs. 25 to 40 higher than its existing price. The existing model is already Bharat Stage IV compliant and loaded with variable valve timing mated with option of a four-speed automatic transmission system. The company plans for launch the new Limited Edition model which get a boost sales and attract new customers in the Indian market. The new model would compete with Hyundai Verna Transform, Honda City, Ford Fiesta and Volkswagen Vento. On the other hand, another major auto majors are also planning to launch their new product ranges in the Indian auto market that includes Tata Aria, Skoda Yeti and Nissan Micra. Sx4 has Awesome power. U come to appreciate this when you are overtaking slow trucks on our ridiculously narrow state highways. Its god sent.Nice and spacious. You can go on road trips with loads of stuff on the back seat (you know, coke/beer, chips, blanket .. what more? go for Sx4!! !